The definition of combustion: The process of burning something. Combustion is a chemical reaction. Have you ever thought of what somethings weighs before and after it's burnt? Well in this experiment that's exactly what we are going to do! When doing this experiment please be careful as it does involve fire. Ensure there is nothing like paper or cloth or anything else that can easily catch fire around. Also it is very important that you wear goggles for this experiment. 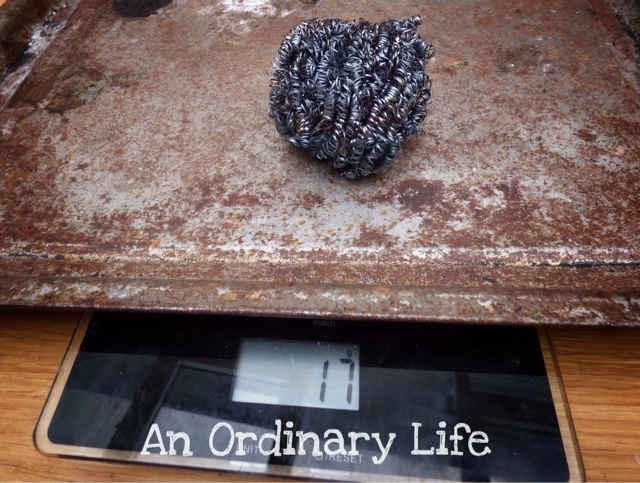 Put the metal baking tray on the weighing scales and reset the scales in preparation of the weighing of the steel wool. Now although Steel is an iron-carbon alloy, it is the reaction between the iron and oxygen that we will be looking at in this experiment. 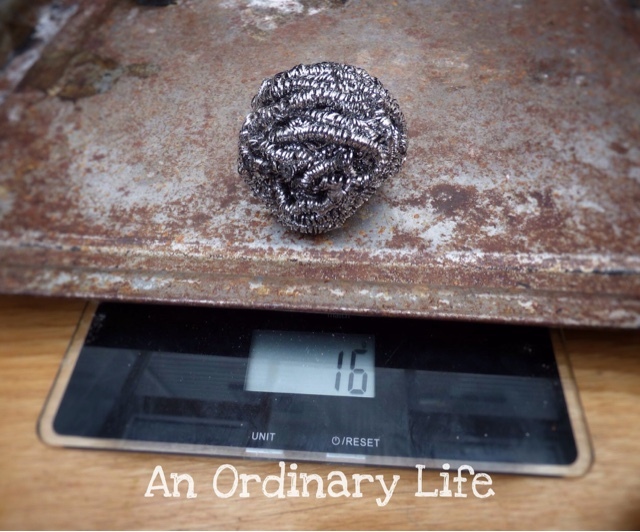 Place a whole piece of steel wool on the metal baking tray that's on the scales and weigh it in grams. Not down how much it weighs. How much will it weigh after combustion? Will it weigh more or less? I used a chef's torch for this. 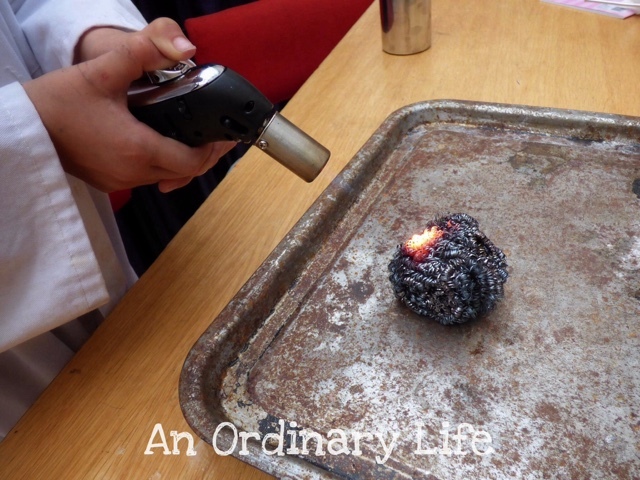 While the steel wool is on the metal baking tray, use the torch to burn the wool! Be sure that your surface is heat proof before you being this part. Wait for it to cool a little and then place the same metal baking tray onto the scales, reset the scales then add the steel wool. Does it way more or less? The reason why it gains weight is because the oxygen in the air, through the chemical reaction caused by heat, chemically combines with the iron in the steel. Therefore it adds to the weight. Do you know what the balanced equation is for the combustion (sometimes referred to as the oxidation) of Iron? This one is super articles for me and it has unique e ideas for using in daily life. My personal experience this best assignment writing service site is famous for creative ideas and experiment. We should keep the balance in life all works. This is true that chemical reaction that is done in combustion of iron, can be somehow dangerous. This is why, dissertation writing services always provided guidelines to focus on the things for safety. Continuous reading this blog for getting more information.